We offer Olympic Weightlifting and “Extras” Programming on top of our CrossFit classes and have many athletes who compete in CrossFit and Weightlifting Competitions throughout the year. We’re professionals who work hard to create a welcoming and educational atmosphere for all kinds of people within our gym. We emphasize quality and encourage all kinds of people—young, old, big, small—to better themselves through the discipline of good nutrition, strength, skill and endurance. We produce high-level weightlifters—including one who won gold at the youth/junior nationals a couple of years back and one who competed in the World Masters this year. Our competition backgrounds have given us a lot of knowledge to share with competitive athletes who want to achieve similar goals. So, come in today—we’d love to meet you! Always active in team sports like soccer, hockey and basketball, Emily came to her dream job at CFSW in an unusual way: “CFSW picked me up when I was down,” she says. “When nothing else was going right, there was nothing better than applying myself 100% to the WOD. Then, after my first comp not going outstandingly well, I decided I was going to smash the next one.” In-between her two jobs, she began training with Busselton’s Coach (and now good bro), Scott Hook. “CrossFit became my number-one priority, and I threw myself at it 100%. 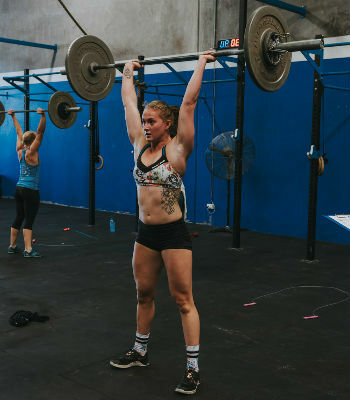 Over time, my progress and dedication showed, because one day I got a call from George asking if I would like to be the head coach of the new Dunsborough box.” She began learning and on-the-job training immediately, shortly followed by a trip to Melbourne to get her CrossFit Level 1 certification. Now she’s learning, coaching and training every day. 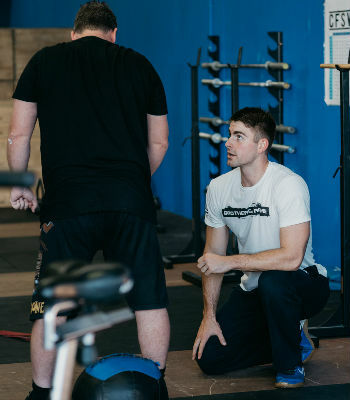 Brendon Park has been CrossFitting for four years and is passionate learning more about the human body and fitness and being able to share it with others to benefit their lives physically, emotionally and mentally. “I enjoy being uplifted from their stories and inspired by their experiences they are having, not only in the gym and fitness part of their lives, but from who they are as people,” he says. Brendon played in national championships for beach volleyball and indoor volleyball around Australia. He loves everything about CrossFit, especially “the community, the learning, the programming, the movements and the why behind it. I have always grown up athletic and active in my lifestyle. I found a love for fitness in my teenage years and came across CrossFit. 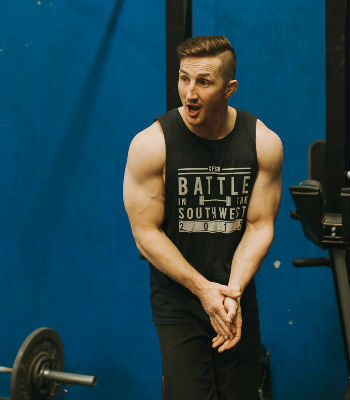 I loved what it taught about how our bodies should be moving and what fitness was.” As always, Brendon loves learning and the next step for him to learn after doing CrossFit as a member was to become a coach—which is only the start of his journey, since it’s his goal to become a world-class trainer and health professional. CFSW was established in May 2013 where passion and dedication was poured into creating the Bunbury box, a space where people could come to escape the hustle and bustle of life and become better people physically, mentally and spiritually alongside a community who wanted the same thing. As the years went by it turned out Busselton and Dunsborough needed a space just like this for themselves so in May 2015 Busselton was created and just a year later in May 2016 the Dunsborough Box’s doors opened.